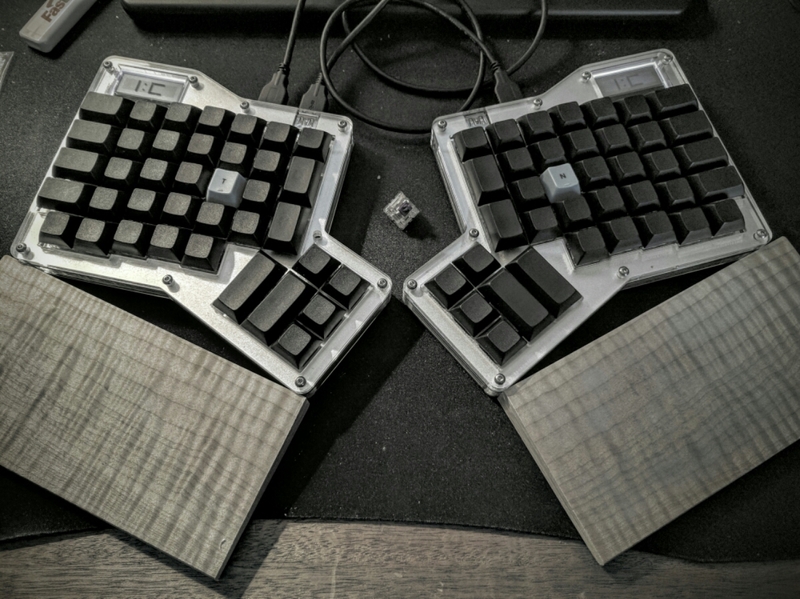 In a moment of insanity, I decided to build and try out an ErgoDox keyboard. So far, it’s pretty good. I really dig the Zealios switches I used for the keys. Here’s the layout I’m using at the moment. Ten days ago, I decided to try and switch to the Colemak keyboard layout. At first, it was about as painful as you might imagine. I went from somewhere around 90wpm down to basically hunt and peck. Five days in, I was at around 15 wpm. Now at ten days, I’m at about 30 with weird little bursts up to around 60 for words my fingers have figured out. It’s quite spurty, but I’m able to get things done and use it all the time. Even with all the typing practice, my hands have felt fine, which is great. Here’s a graph of some of my progress so far. After listening to Matt’s interview with Tim Ferris, I decided to give an alternate keyboard layout a shot. I’ve always been skeptical of the alternate layouts, especially after doing some research into it as part of my undergrad degree. Though I’m skeptical, I’m also starting to get some minor hand pain, especially in my right (mousing) hand and around my left ring finger, so … why not? Most of the people that have switched report that they mostly retain their QWERTY knowledge, so even if this turns out terribly, I have a fallback. I use Emacs a fair bit, so Dvorak seemed like a bad fit, as it moves Control-X to a weird spot. Colemak, however, keeps most of the common keyboard shortcuts in the same place, but moves enough keys around that you still get most of the efficiency and movement benefits of Dvorak. Plus, a handy online keyboard layout analyzer indicated that Colemak would be just as efficient for my writing style. So, I’m going to give switching a shot over the next month. Just a record of where I am, roughly, on QWERTY: 77wpm and 97% accuracy, according to http://10fastfingers.com/typing-test/english. I’ve taken other tests in the past and I usually grade out somewhere between 70 and 120 wpm, depending on what I’m typing. And, for the record, I typed this out using QWERTY. I’ve only started to learn the home row on Colemak so far.